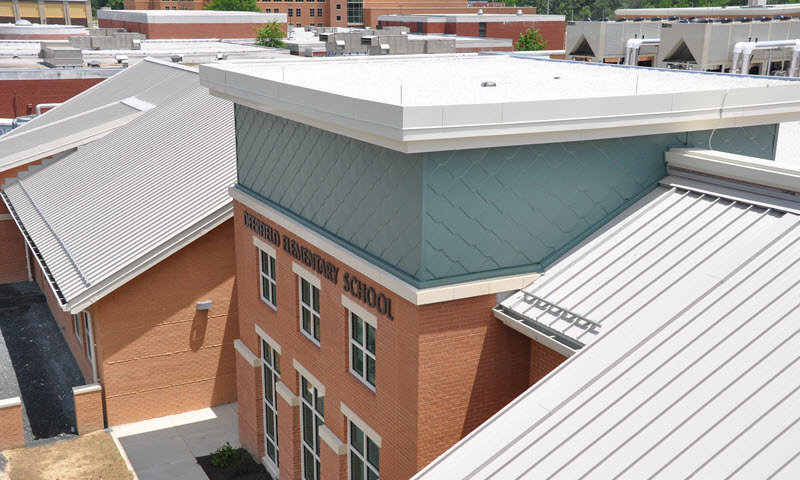 Cole Roofing has taken our decades of experience and expertise in architectural sheet metal and applied it to the world of metal wall panel systems and solutions. Our skilled craftsmen are trained to install a wide range of metal wall systems including single skin metal wall panels, aluminum composite metal (ACM) panels, wood faced wall panels, and insulated metal wall panels. We can provide full metal wall systems to include air and weather barriers, mineral fiber board insulation, and energy efficient sub-framing systems.